The holiday falls on April 14-16, during the hottest period of the year. During the three-day holiday, most Cambodians travel back home to spend time with the family or visit popular tourist sites in the country. Those who can afford it, take the opportunity to travel to some exotic destination abroad. In cities and villages, schools and supermarkets close, while public services are temporarily suspended. Phnom Penh, for example, becomes a ghost town as everyone leaves the city to visit relatives in the province. As one of the longest holidays in the Cambodian calendar, Khmer New Year is a time to spend with family, says Kong Vuthea, an employee at a hospital in Kandal province. He estimates that this Khmer New Year he will spend between $300 and $500, which is similar to previous years. In response to people’s concerns, the Ministry of Tourism has issued statements calling on tourism service providers and vendors to refrain from increasing prices during the long holiday. Officials will be sent to key locations to monitor that tourists are not being overcharged, the ministry said in its statement. Moreover, in a meeting earlier this month, Tourism Minister Thong Khon instructed all provincial tourism departments to promote their tourism products and resorts and strengthen the quality of services. Chuk Chumnor, spokesman at the Ministry of Tourism, told Khmer Times that the number of people travelling during the upcoming long holiday is expected to increase. “We cannot give you exact figures, but we estimate that more people will travel every year as more tourism products are created, and as people’s living standards improve,” Mr Chumnor says. He acknowledges that prices usually rise during this time of year, but says the hike is not excessive. “We have learned that some service providers do increase their prices, but thanks to some measures put in place by the ministry, it won’t be much, perhaps just 20 percent above regular prices,” he says. Siem Reap, the coast and eco-tourism sites in the country’s northeast are expected to remain the most popular destinations among Cambodians this year, he adds. One of the biggest differences in 2019 will be that ‘Angkor Sankranta’, a celebration held traditionally in Siem Reap to celebrate the New Year, will not be organised. 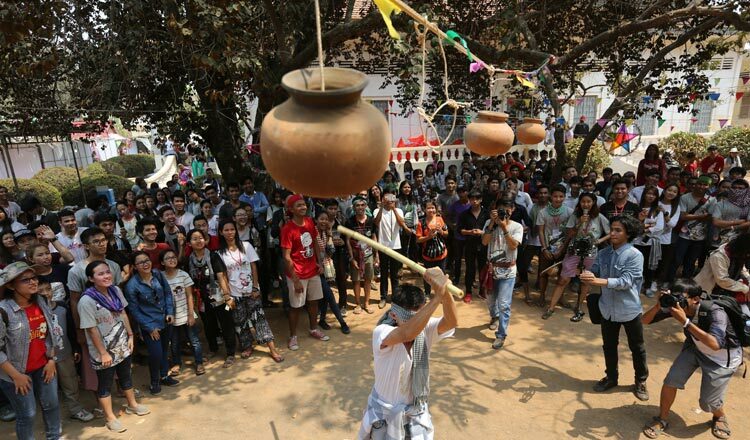 Instead, smaller celebrations, called ‘Sankranta’, will be held across the country. Chheang Sambath, general manager of Apsara Tours, says the cancellation of Angkor Sankranta will not have an impact on the number of people visiting Siem Reap this year. “People, particularly foreigners, plan their travels and tours with plenty of time, so they will still come to Siem Reap whether or not we have the Angkor Sankranta,” he says. Mr Sambath believes tourists are likely to stay longer this year because the tourism offer of the region has been expanded, including new tourism sites, resorts and services. “The ministry has done a good job. Particularly in the provinces, we can see that a lot of new hotels, restaurants, and other facilities for tourists have been created with good service and standards,” Mr Sambath says. Yong Sovatha, a teacher at an international school in Phnom Penh, says she will travel abroad this Khmer New Year. “We have great tourist destinations inside the country, and I have visited many with family and friends. However, this year I want to do something different. My friends and I booked a one-week tour in Indonesia, a country that I am very excited to explore,” the 27-year-old teacher says. As one of the busiest times of the year on Cambodian roads, traffic accidents are one of the top concerns for holidaymakers and the authorities. Sitting at a grocery shop in Takhmao city, Try Pisey says she will not travel anywhere for the holidays. “My family wants to travel, but I am too worried of overcrowding in destinations like Sihanoukville and Kampot, so I plan to stay at home and just enjoy Khmer New Year with relatives,” Ms Pisey says. For Ms Pisey, a grocery owner, the best way to stay safe during the holidays is to stay home. “I am too worried about traffic accidents, so I prefer to stay home or just go somewhere nearby,” she says. 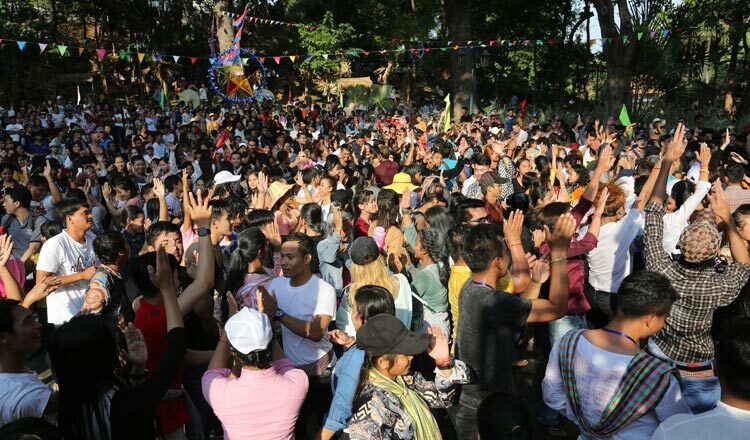 In 2018, 5.2 million Cambodians travelled during Khmer New Year, an increase of 23 percent, according to figures from the Ministry of Tourism.